At a recent Afro Futurism event, one of the speakers appeared not to have gotten the memo: Lindsay Holmes (left) ruminated about the past, relaying his experience of growing up in Watts, CA, one of (his father’s) 24 kids, and his memories of the smoke rising from the flames that engulfed his community when he was 14 years old. 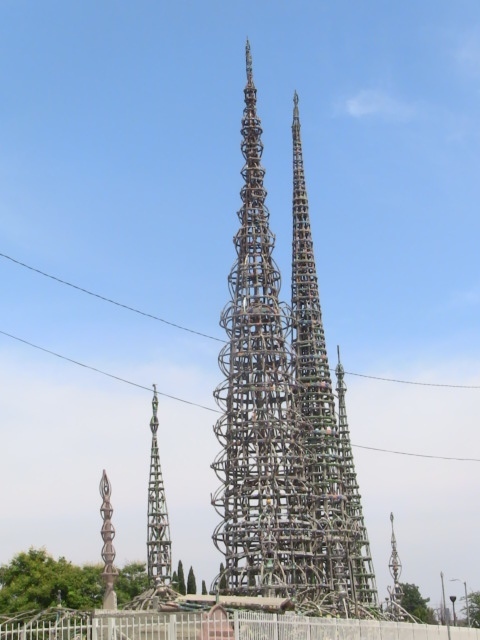 Holmes said he planned to lead a curated tour of Watts for the 50 anniversary of the riots, stopping at select childhood haunts. Half of me listened impatiently, thinking: When is this guy going to bring it around to Afro Futurism? The other half started taking notes, quickly realizing that the speaker had a good story. I got his number before he left. 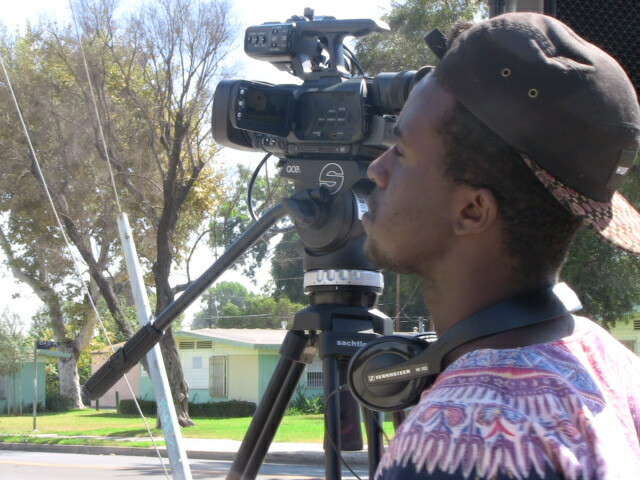 A few days later, I called Lindsay, and said, “Let’s go to Watts with a video camera and hit some of the spots on your upcoming tour.” And so we did, Lindsay, cameraman Christian Gilder (at bottom), and me. 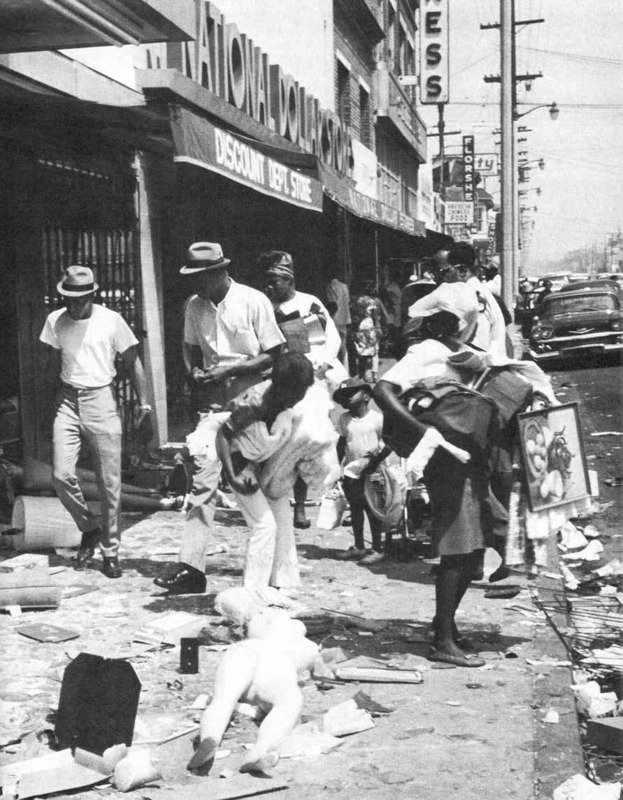 Doing this short piece makes me w ant to delve deeper because many people only know about those six days in ’65, when fed-up black folks went ballistic after white police stopped a black driver—actually outside of Watts—lighting a long-simmering fuse. I found it compelling to hear about the community back in the day from Lindsay, an insider. 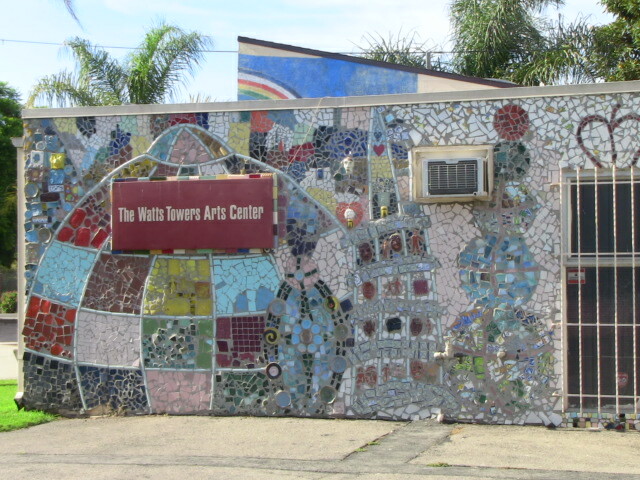 We went to the house he grew up in, his elementary, middle and high schools, and the famous Watts Towers. 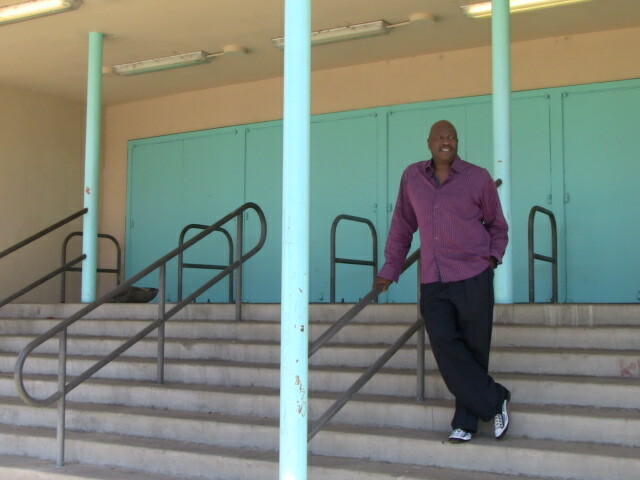 He recalls it being a community where he knew no black entrepreneurs. Everyone worked for someone else, he said, and after the riots, the jobs they did have all went away because the businesses had burned to the ground. His family had to catch a bus to a community a half hour away to buy school clothes that September. Lindsay grew up to become a McDonald’s franchisee, and his teenage sons, now in college, also run their own (music-related) business. Watts has a much bigger story to share than many have heard. I hope to be a part of the telling. Wow! What a story!! I really enjoy reading your blogs. Thanks so much, Carlotta! Appreciate your taking the time to read & follow.
. . . and Afro-Futurism? The Wiki version: Afrofuturism is a literary and cultural aesthetic that combines elements of science fiction, historical fiction, fantasy, Afrocentricity, and magic realism with non-Western cosmologies in order to critique not only the present-day dilemmas of people of color, but also to revise, interrogate, and re-examine the historical events of the past. First coined by Mark Dery in 1993, and explored in the late 1990s through conversations led by scholar Alondra Nelson, Afrofuturism addresses themes and concerns of the African Diaspora through a technoculture and science fiction lens, encompassing a range of media and artists with a shared interest in envisioning black futures that stem from Afrodiasporic experiences. Seminal Afrofuturistic works include the novels of Samuel R. Delany and Octavia Butler; the canvases of Jean-Michel Basquiat and the photography of Renée Cox; and the explicitly extraterrestrial mythoi of Parliament-Funkadelic, the Jonzun Crew, Warp 9, and Sun Ra.